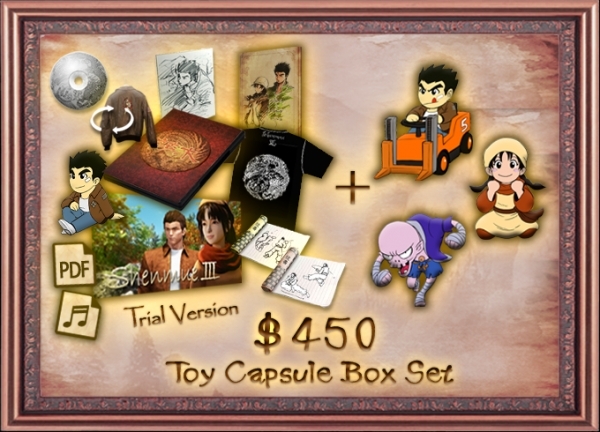 Toy Capsule Box Set now available for order. The crowdfunding campaign for Shenmue III has reached $7 million with its Kickstarter and Slacker Backer campaigns combined, which has unlocked the “AI Battling” expansion to its battle system, developer Ys Net announced. This control system lets you automatically unleash the perfect technique in response to the opponent’s positioning and distance. 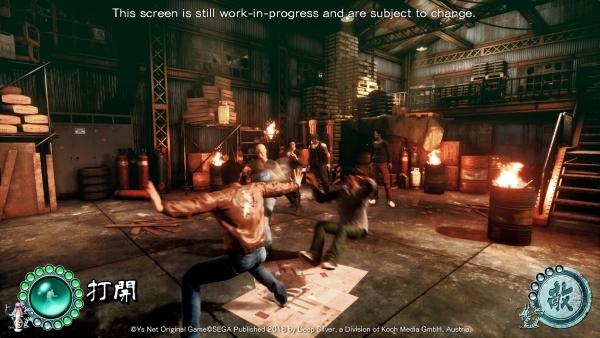 R&D for this system is based on Yu Suzuki’s concept for players who are not used to fighting games or for those who want a full immersion battle experience. This battle system is highly compatible with, and will be an extension to the current battle system. Additionally, Ys Net has announced that the “Toy Capsule Box Set” limited edition of the game is now available for order through Fangamer. Finally, the company shared some additional information regarding the backer surveys that were sent out in June. Find that below. We have received many inquiries concerning the survey for the following which we would like to address here. *Please note that policies and implementation may change without notice depending on applicable quantities and content. There are three fields in which to input your name for name credit rewards. The first is English only and is required. The second and third are optional and accept other languages. If you choose to enter your name in the second or third field in a language other than English, these optional names will take precedent. *This will not apply if there would be a systems conflict or if deemed to be against public decency. Below is the list of prohibited content for survey responses. Should the dev team deem that survey responses contain prohibited content, or if responses are unfit for development or sales of the game, content may be edited or deleted. *For example, offending text will be replaced with asterisks (***). Offending parts of images will be edited or deleted, or in some cases the content will not be displayed in the game. Game development will move forward based on your responses to go out to fans all around the world. We thank you in advance for your understanding and cooperation. We would like to address the many inquiries concerning the physical version disc data. Development is moving forward to have all necessary data to play the game contained on the disc. Please rest assured that the disc will not be just a prompt for an internet download. *An internet connection is a planned requirement for the purposes of game updates and reward activation. That’s the breaking news! The team would again like to thank you all for your wonderful support! See you next update! View the above screenshot in high resolution at the gallery.